I had the opportunity to spend some time photographing Syl Johnson, the legendary Chicago based Soul singer. 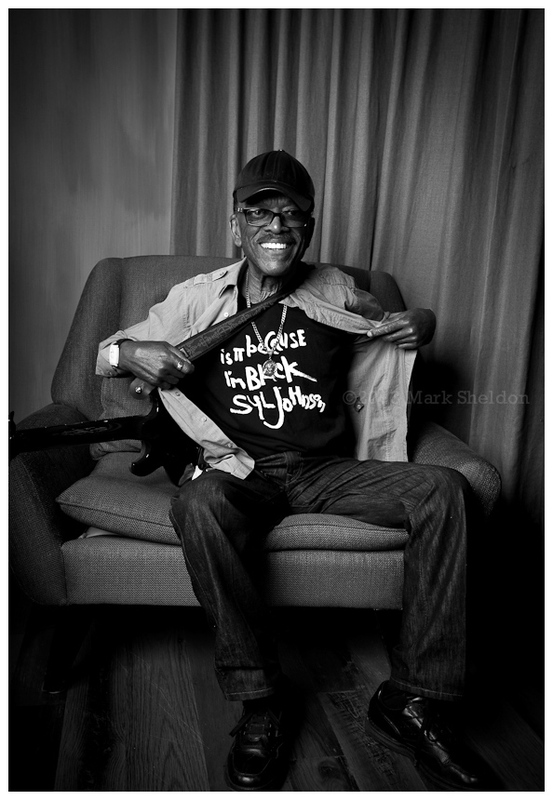 Syl has played with many of the great soul/blues musicians of the 50s-60s including Magic Sam (another Mississippi transplant and Chicago neighbor of Syl’s), Howlin’ Wolf, Billy Boy Arnold and Junior Wells. This image was made backstage at Space, a beautiful venue in Evanston, IL where Syl and his big band were performing two sets. Syl spoke to the crowd about his life, his new guitar endorsement and other musicians sampling his music (something that has made him quite a bit of money) but more importantly, he performed several tunes that fans had come to here including Take Me to the River and Is It Because I’m Black. A warm man with a big smile, I asked Syl to play through a tune or two during session which he was happy to do. The photograph below is one image from that session. You are currently browsing the No Room For Squares blog archives for November, 2012.